Abstract: For security reasons (e.g. PCI certification) the access to removable devices like the floppy drive should be restricted. 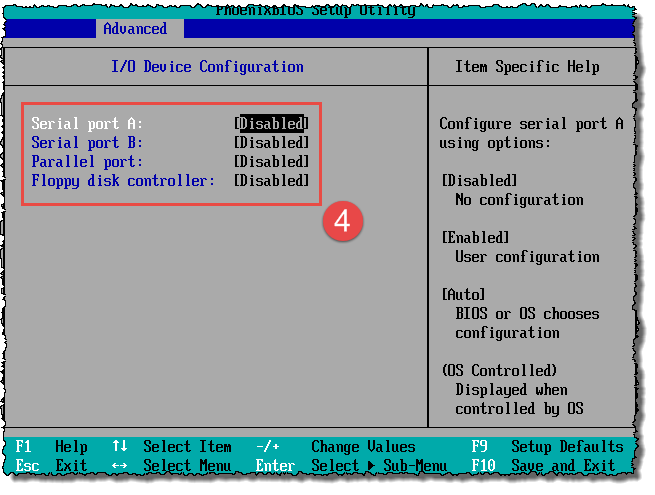 Additional to that virtual LTP or COM (serial) ports should be restricted. 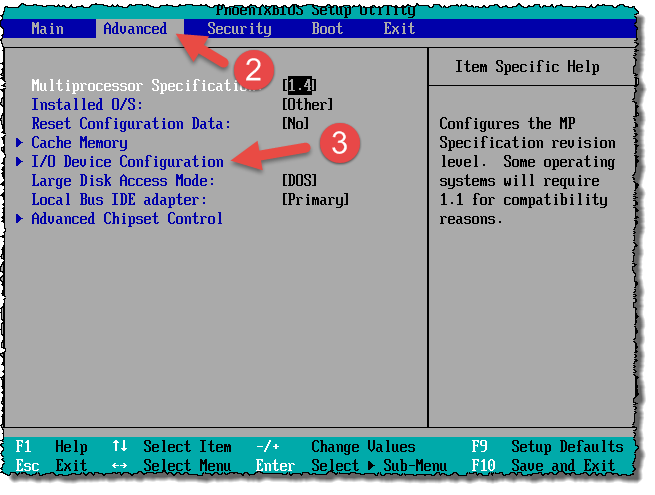 Solution: Most virtual server would not need a virtual LTP or COM (serial) port, so these should be disabled in the VMWare bios together with the Floppy disk controller. Please also make sure that the VM do not have these devices added. 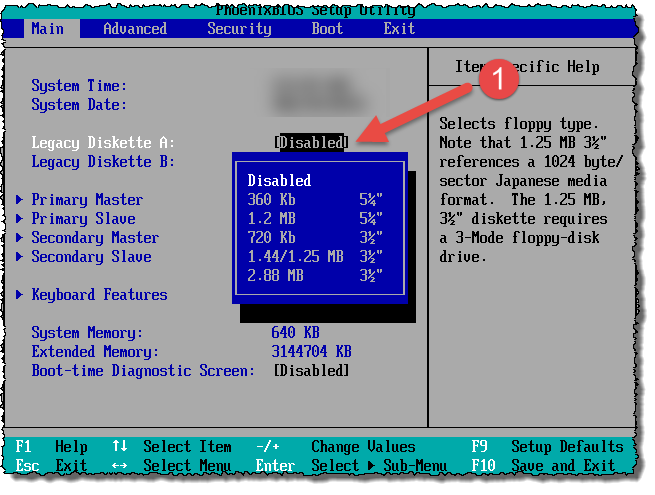 In the advanced menu change the Serial Port A, B, the Parallel Port and the Floppy disk controller to disabled (4).